Soak the corn min 4-6 hours & pressure cook with salt until one whistle & strain it. If using frozen corn no need to soak or boil. Heat oil in a pan, add mustard seed, g.chillies,ginger,curry leaves & saute few seconds. Add boiled corn, grated coconut & mix well. Looks delicious! 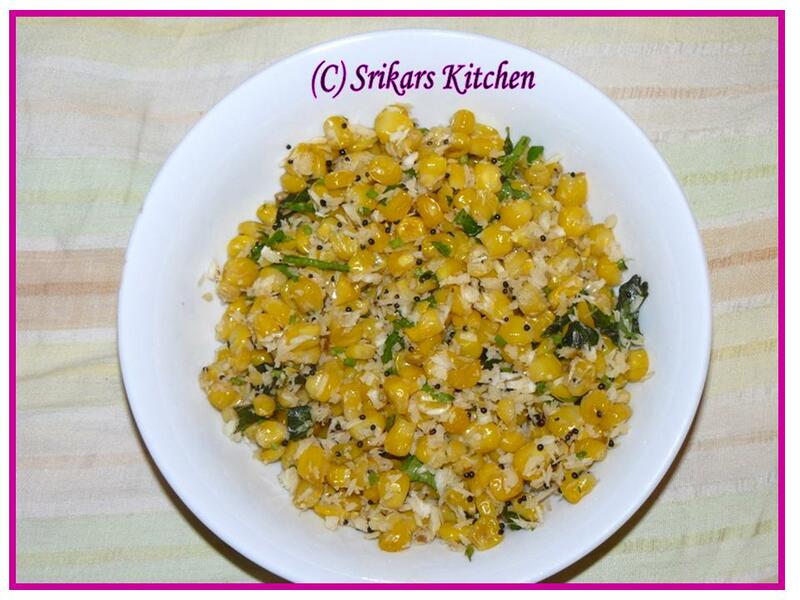 I love sweet corn and make it very often.. but I do add coconut to it and I use garlic instead of ginger. hey nice.. new to me. going to make it today. how are u?